Last year I helped Fluster Magazine organise a short story competition. Twenty winning stories were chosen to be published in an anthology by Armida Publications. For about two months, I watched whilst stories upon stories sped into my inbox, and spent countless sunny afternoons reading through them all. Judging the entries was a lot harder than I had anticipated. To me, there were a few very clear winners, but there were many stories that I simply could not choose between! Helping with the Tell Us A Tale competition was such a privilege and seeing the finished anthology made me swell with pride. All of the hard work and almost impossible choices were worth it in the end! After receiving my proper, physical copy of Tell Me A Tale, I decided to wait a few months before delving into the pages. I wanted to read the stories with a fresh mind. Knowing that I would not have to judge the stories also made reading them nicely relaxing. Tell Me A Tale brings together stories from all over the world, with authors of different ages and nationalities. The collection has a remarkable range of styles and themes. We have tramps quoting Keats, conversations with the dead and moving memories from the past. We enter strange worlds, wild imaginations and the obscure Art world. We learn about the poignant loss of memory and loved ones, of growing old and of moving on. Tell Me A Tale finishes with the beautiful and aptly named The End by Eve Murray. This final story follows a young author as she tries to write the closing, most painful chapter of her novel, and come to terms with the loss of her brother years ago. Every good book should have an ending like this, one that lingers for a while after you’ve turned the final page. I’m so pleased with how this book has turned out (it also looks brilliant, with a great cover and a photograph inside for each story) and I’m so happy to have been a part of such a wonderful competition! I’m also over the moon about my name appearing in the first few pages. You can imagine how excited I was when I first saw that! 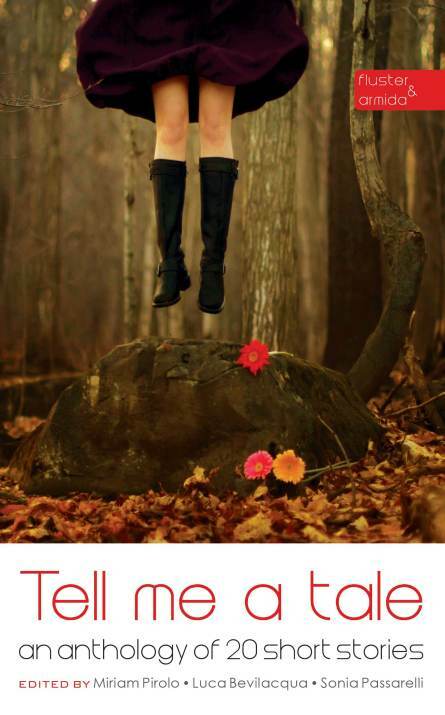 If you would like to buy a copy of Tell Me A Tale, click on the picture below!